Biggles, you taught us so much, you did whatever was asked of you. 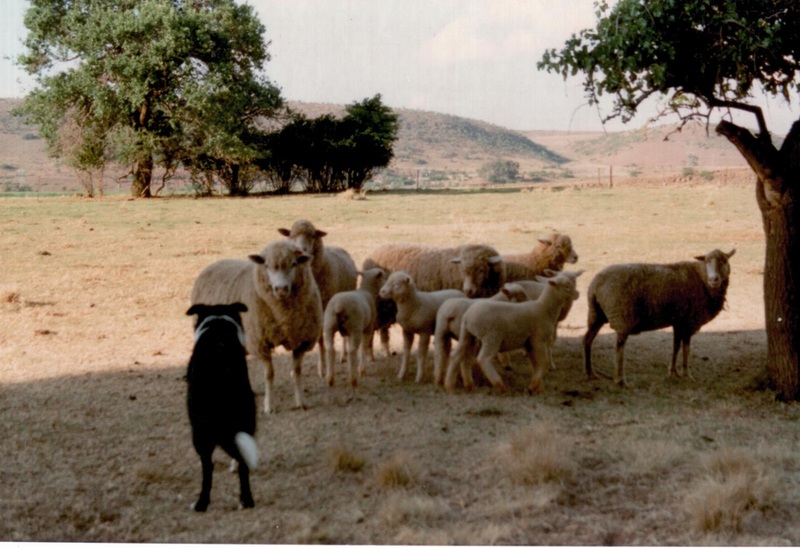 You came to us as a 6 month old pup, tied to a tree for chasing sheep! You started off by doing Obedience with us, going all the way through to B Test. 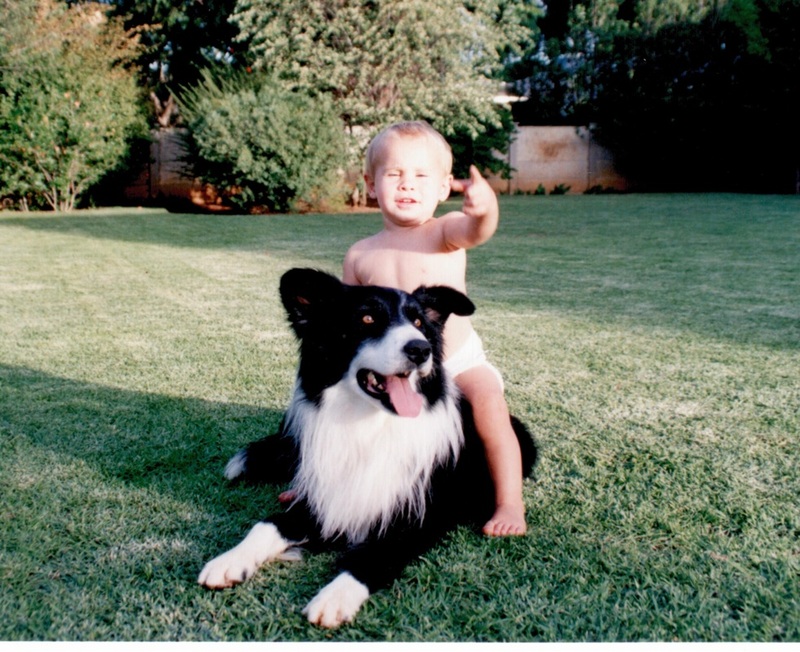 We did Dog Jumping, ending up in Grade 1 Jumping. 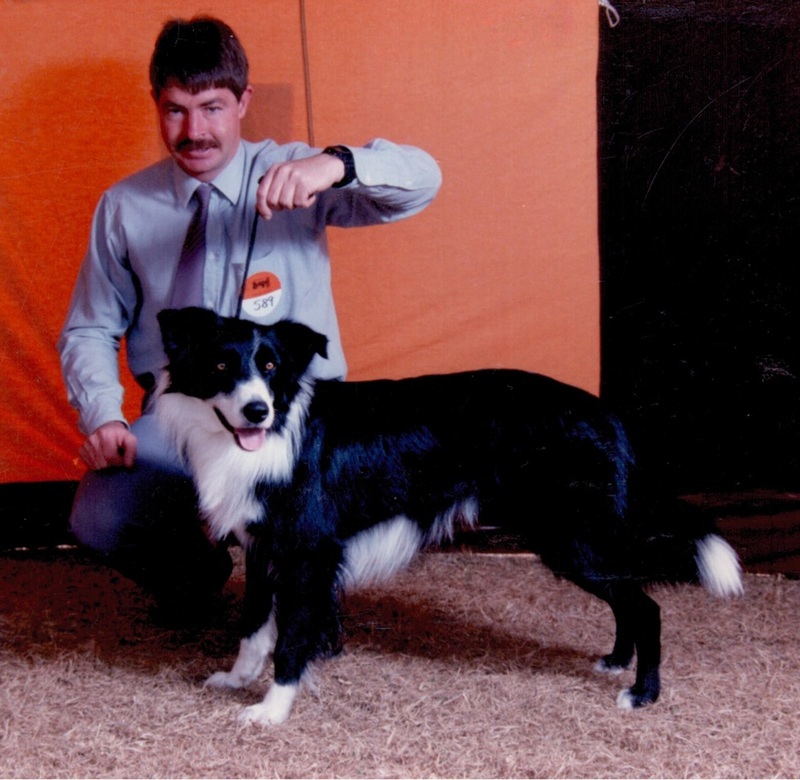 And as soon as those long awaited registration papers came through in late 1990, we were doing Breed Shows. 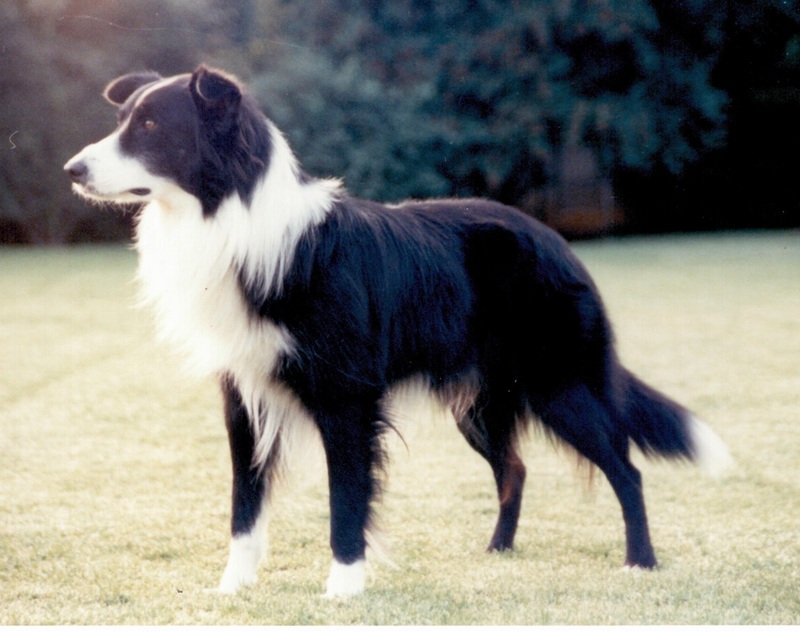 He amassed a Breed Record of 30 Championship Best of Breeds in the 2½ years he showed, including a few Group Places, an unheard of feat in those years. 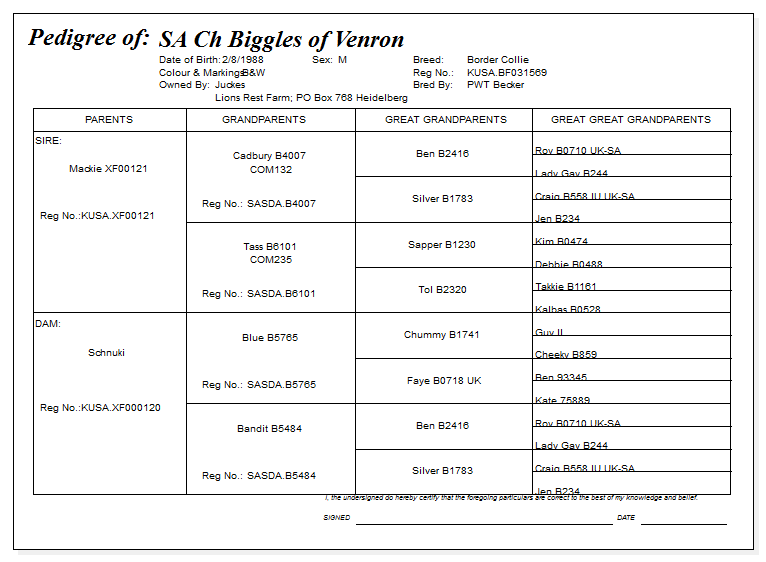 Once we moved to Lions Rest Farm, you were the mainstay of our farming operation. 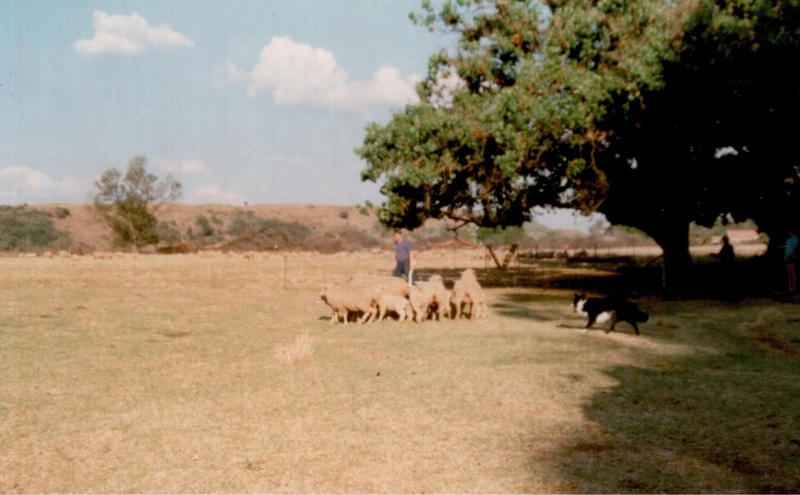 It became your daily duty to take the cattle to and from the kraal. Those brahman-crosses soon knew to do as they were told.